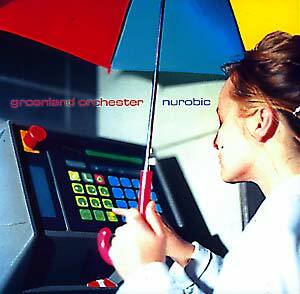 "Founded in 1998, the Groenland Orchester produces multi-dimensional electronic music of a special quality, cleverly avoiding the aesthetic traps of common dance music. Its background in experimental music is obvious and leads to an unique adventure in sound and structure created by as many as 40 orchestra members. Surreal pop for today's Hieronymous Bosch crowd. The orchestra's conductors are Günter Reznicek (aka Reznicek, Nova Huta) and Jyrgen Hall (aka Gunter Adler)."